Blogging, as an online activity holds a bright outlook for the future. Blogging has put power into the hands of online users to publish their skills, expertise and thoughts on the web. Blogging is one of the world’s most top online activities and it has been much enticing to the adults. While online blogging is still considered to be technically demanding, it doesn’t require technical skills in abundance. The presence of multiple online blogging platforms has made the act an easy and undemanding one. You would be required just the basic operating skills, and little to no cash to get started on your blogging and online publishing journey. 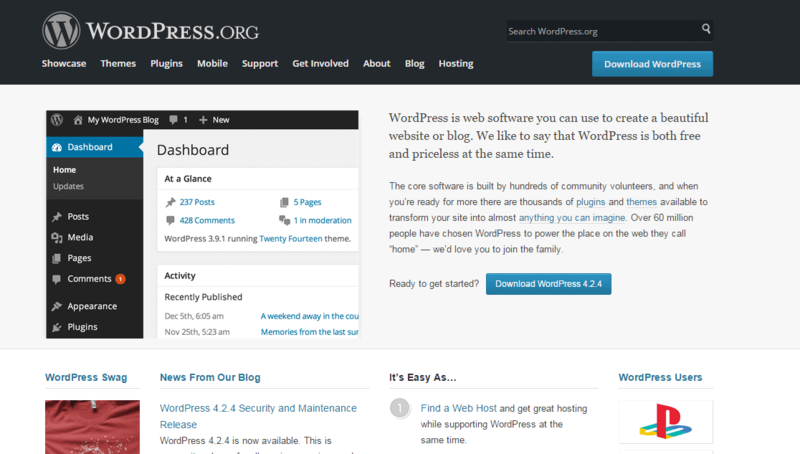 WordPress.com is a free blog hosting site with roughly half the features of wordpress.org. All original features of the website are free to use. However, some features (including domain registration, domain mapping, css editor, storage upgrades, video upload, removal of ads, and website redirection) are available as paid options. WordPress is a great choice for doctors, artists, bloggers, plumbers, photographers, restaurateurs almost anyone. WordPress powers 23% of the internet. They make regular backups of your website. Tumblr.com is one of the best blogging platforms on the web. In other word Tumblr is a social networking and micro-blogging platform, which was founded by David Karp in 2007. Tumblr allows users to post text, images, links, quotes, videos/audios, and music. 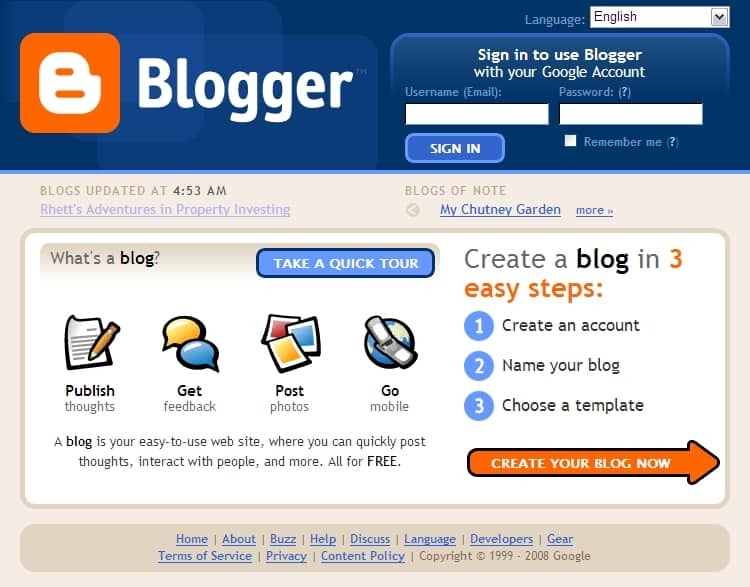 Blogger.com was founded by Pyra Labs, which was bought by Google.com in 2003. Blogger is a free blog hosting site that allows multi user blogs with time stamped entries. Blogger.com has been blocked for various periods of time in the countries like India, Cuba, China, Iran, Myanmar, Pakistan, Turkey, Yemen, and Vietnam. This website has limitations on bandwidth and content storage per user account. LiveJournal.com is a free blogging service, online community and social networking website where many fans post their Meta, works, leave feedback, fan fiction, and have personal interaction. In other words, Livejournal.com is a free blog site where you can make any kind of blog like audio/video blog, weblog, photo blog. LiveJournal common feature includes “each LiveJournal entry has its own webpage, which includes the ‘comments’ left by other users. Each user has a user info page, which contains a variety of data including lists of friends, images, biography, interests, and contact information”. LiveJournal has also paid account features like Voice Post, Extra storage space, and Sending Text Messages. WordPress.org is web software you can use to create a beautiful site or blog. In other words WordPress is an open source blogging tool & a CMS (Content Management System) based on MySQL and PHP. This website was used by more than 22.8% of the top 10.1 million sites as of May 2015. It’s free and super easy to use. You can upload custom themes and plug-ins. You can make money from it by using your own ads. You have full control of your content. Wix.com is a cloud based free web development platform that allows users to create Mobile/HTML5 Websites, through the use of their drag and drop tools. Small business owners, Artists, Musicians, Designers, Entrepreneurs choose wix.com to create a beautiful, professional web presence. 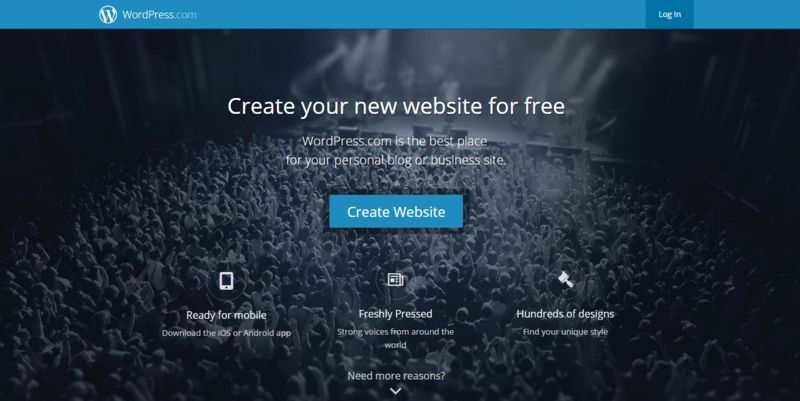 This website gives you everything you need to create a stunning free site. Users can add functionalities such as email marketing, e-Commerce, social plug-ins and forums to their sites using a variety of third party applications. 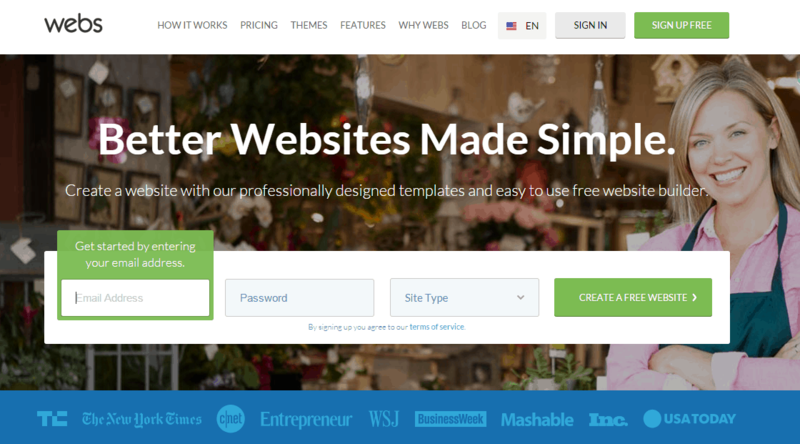 Wix offers 100s of stunning HTML5 Templates, Simple Drag and Drop Website Builder, Secure and Reliable Free Hosting, Make your website Google friendly. Weebly.com is a San Francisco, California based best blogging platform that was developed by college friends Dan, David and Chris. Weebly is available in 11 languages including French, Italian, English, Chinese, Dutch, Japanese, German, Spanish, Portuguese, Turkish and Russian. Weebly.com gives everyone the freedom to start a blog, online store or website that works brilliantly across mobiles, tablets and computers. 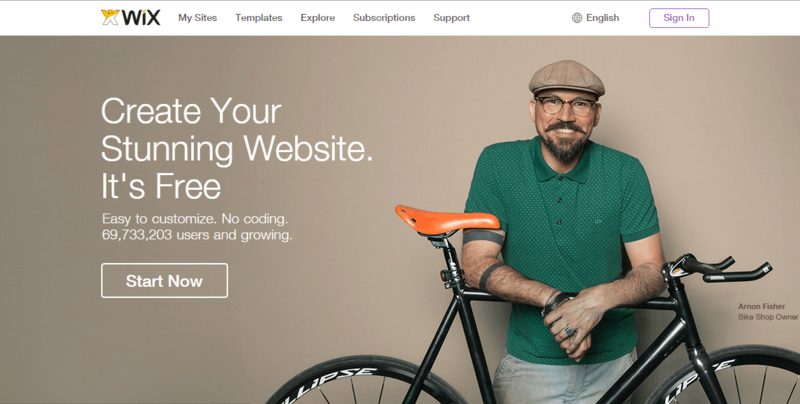 Squarespace.com is a SaaS Based blogging platform and hosting service. Squarespace.com allows businesses & individuals to create and maintain blogs and sites. This blogging platform was founded by Anthony Casalena in 2003; later SquareSpace got funded by Index Ventures and Accel Partners. 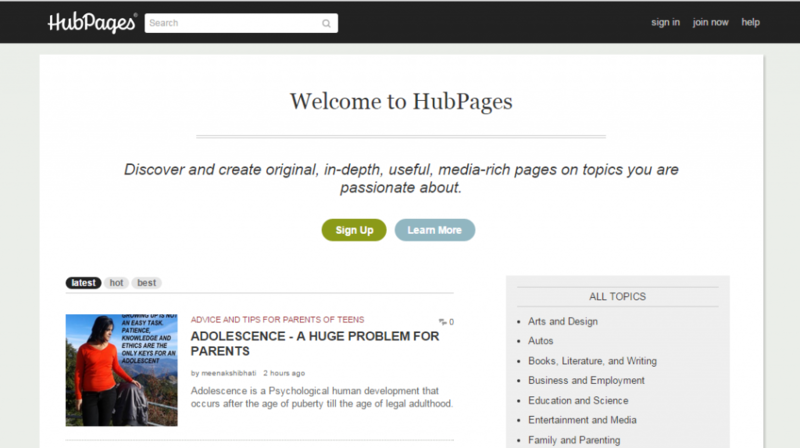 HubPages.com is your online space to share your useful tips, reviews, opinions, advice and insights with thousands of other authors. HubPages is a revenue sharing site. This awesome website was founded by Paul Deeds, Paul Edmonson and Jay Reitz in August, 2006. Over 30 million users explore HubPages every month. Webs.com was developed by Haroon and Zeki Mokhtarzada with one goal in mind to help people get online without technical skills or a big budget. Webs provide a ‘drag & drop’ interface and business looking themes for users creating a new site. Blog.com is a best free blog site, which was developed in 2004. It is a best service for blogger because this website offers more than one features such as (supports multi-author blog, Service integration, offers Smashing beautiful themes, Multimedia support, Search engine friendly).